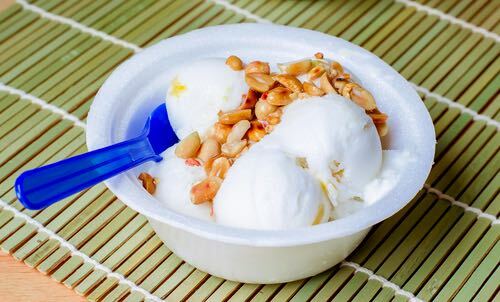 This old fashioned coconut ice cream recipe was likely used by chefs in the White House kitchen to prepare the frozen desserts for Mrs. William Howard Taft's summertime luncheons at the White House during the time of her husband's presidency, 1909-1913. Treat yourself to ice cream fit for a White House reception. One quart of cream, one pint of milk, three eggs, one cupful and a half of sugar and one of prepared coconut, the rind and juice of a lemon. Beat together the eggs and grated lemon rind, and put with the milk in the double boiler. Stir until the mixture begins to thicken. Add the coconut and put away to cool. When cool add the sugar, lemon juice, and cream. Freeze in ice cream freezer. First Lady Helen Herron (Nellie) Taft (1861-1943) loved to entertain her friends and members of Washington society, especially at lunches. 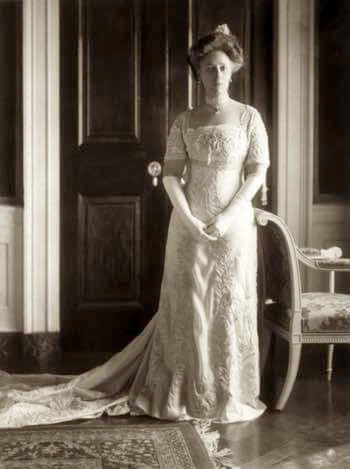 She graciously received her guests thrice weekly in the Red Room at the White House, where she served homemade ice creams and old time water ices. Ice cream desserts were especially loved by the Tafts and according to research undertaken by the author of The President's House, William Seale, the Tafts added a forty-quart Peerless Ice Cream Freezer to the White House kitchen in 1912. The Tafts also kept a Holstein cow grazing on the White House lawns to provide fresh milk and cream for the First Family's ice cream. 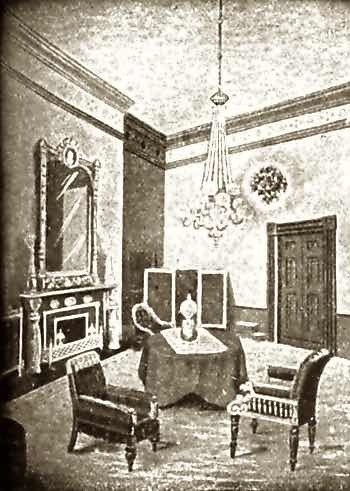 The White House Red Room is pictured above as it appeared around 1900, and looking as it did during the Taft occupancy when Nellie hosted her lunches. The room measures about 28 feet by 22.5 feet and was furnished for luncheons and small dinner parties. It has been traditionally decorated in various shades of red giving it its descriptive name.